With another Tour de Milk Crate behind us, you will be happy to know that we will impose a strict Milk Crate Moratorium — at least until we cannot help ourselves any longer. In the meantime, we will get back to our usual activity: providing critically valuable information. So let’s have another edition of “Eugene Bicyclist: Rolling Answer Man.” That’s when you ask the questions, and I beat around the bush. … which got me to thinking about the plethora of bike lane obstructions in my neighborhood and if it were possible for a cyclist to get a citation for taking the lane to avoid them. I know the lane can be taken for the sake of safety when there is no bike lane but what about when there is an obstruction? What say you on this issue? I say I want to thank the reader for sending this question, because this will allow me to dig into my photo collection to bring you some previously unpublished photos of bike lane obstructions. So, as they like to do in law school, let’s discuss this issue by creating a hypothetical situation. 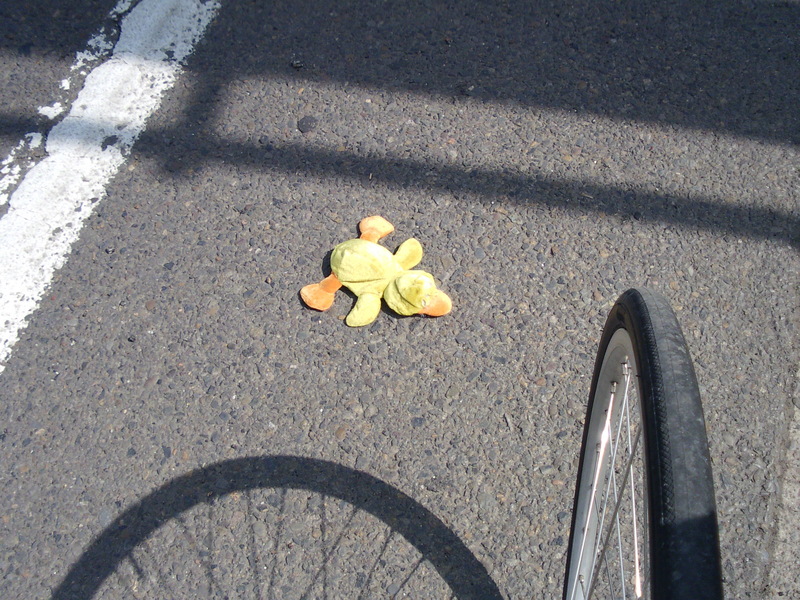 Could you legally move out of the bike lane in order to avoid this debris? We have no idea. The law is gray. We suppose it would all depend on the officer who happened to see you do it and/or the judge who heard your case if you did get cited and went to traffic court. 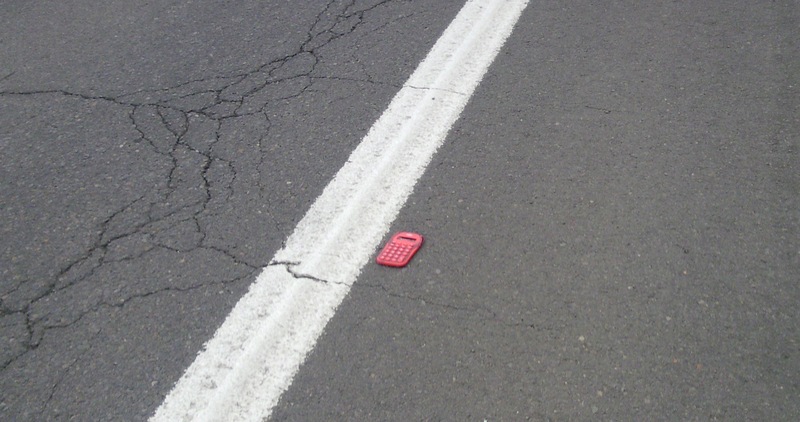 But I suppose that we should go — even though it is against our better judgment — to the Oregon Revised Statutes, 814.420, entitled “Failure to use bicycle lane or path” and see what guidance it can offer. 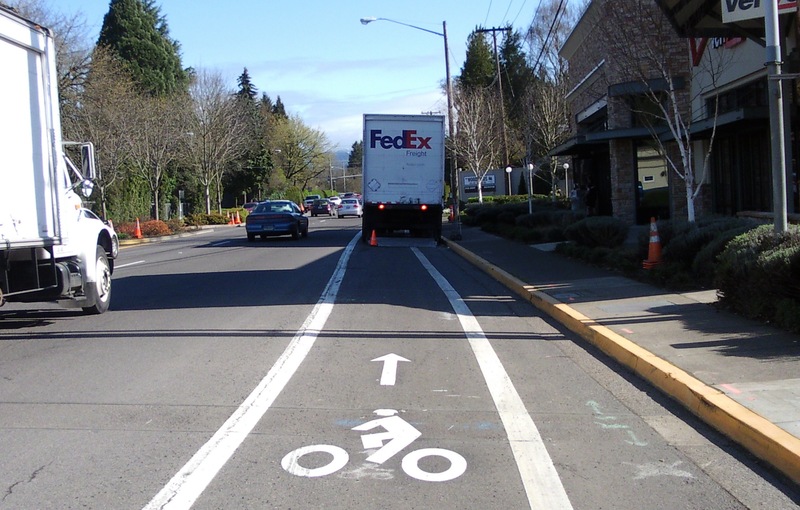 (1) … a person commits the offense of failure to use a bicycle lane or path if the person operates a bicycle on any portion of a roadway that is not a bicycle lane or bicycle path when a bicycle lane or bicycle path is adjacent to or near the roadway. (e) Continuing straight at an intersection where the bicycle lane or path is to the right of a lane from which a motor vehicle must turn right. But I really want to get back to the kid on the skateboard. He was a pretty nice guy. At a red light, he came up behind me after I passed him (outside of the bike lane). One or the other of us — I don’t remember who — struck up a conversation. 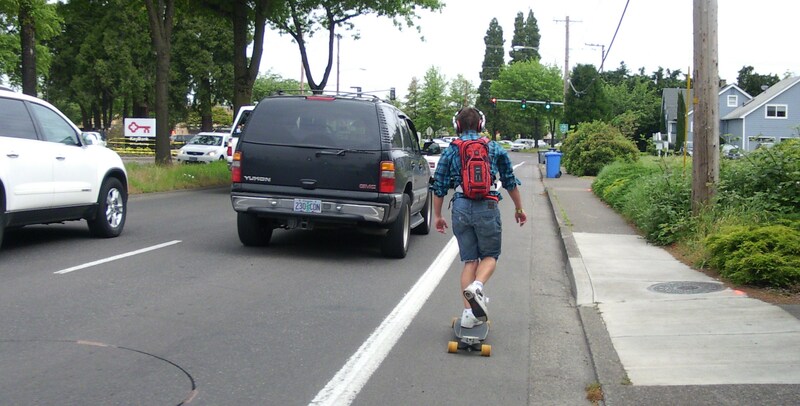 He told me he was skateboarding from south Eugene to Costco to get his eyeglasses fitted — 13 miles round trip, he said. I asked if there was not an optometrist somewhere in south Eugene. For this kid’s sake, maybe we could get a movement going for Costco at Civic Stadium? Speaking of Costco, what the hell? Why do you have to get to Costco and line up before it opens? Furthermore, why do a lot of the retired dudes who also show up early at Costco back into their parking spaces. We would think if you are going to Costco you are loading up on a bunch of crap. You’re going to be coming out of the store with cartloads of stuff. Wouldn’t it be easier to load up your truck if you weren’t backed in? But what do I know about Costco? Not much. 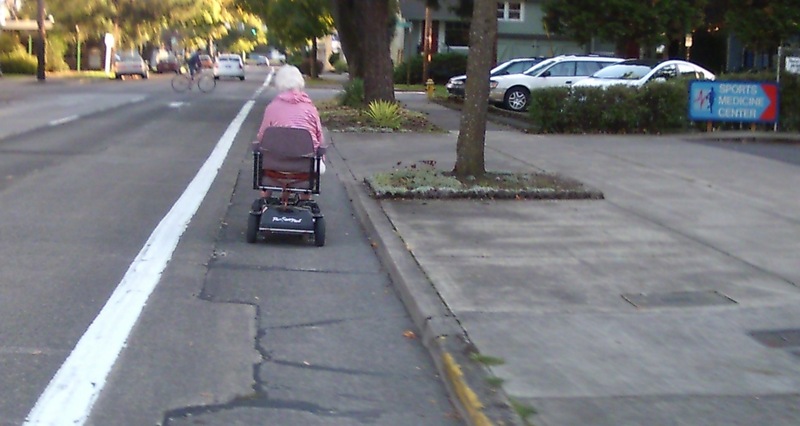 Anyway, we should probably get back to our point and our original question: I’ve not had the impression that Eugene police spend a lot of time stopping and ticketing cyclists. But I contacted EPD and asked if they could get me some data. 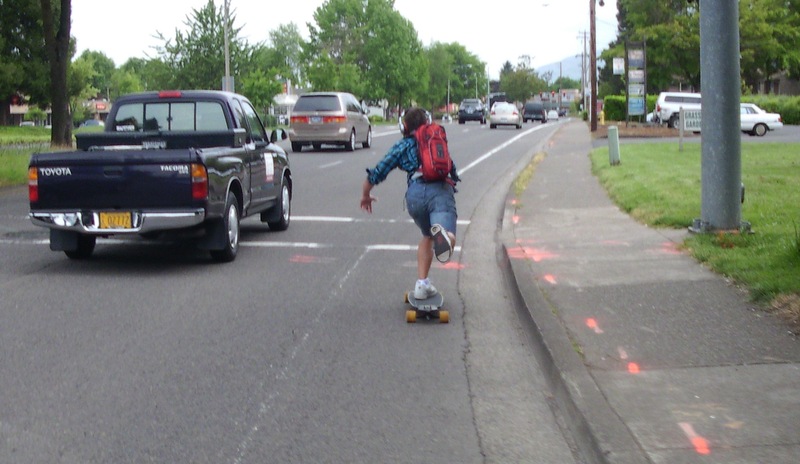 It turns out that in the 13 months from May 2010 through May 2011, Eugene police officers issued two (2) citations for “failure to use bike lane.” So it would appear that this is not an epidemic — neither in the form of rampant violations nor heavy-handed crackdowns ala New York City. But the overall cyclist traffic citation data I received was interesting. I’ll show you more in a future post after I get some of the details fleshed out. The retirees aren’t at Costco to buy stuff. They waddle around the store all day sucking down free food samples. Well the strict milk crate moratorium has been broken already. There is a NYC cratie in the video at about 1:30 in. Oh, no … I knew it wouldn’t work. 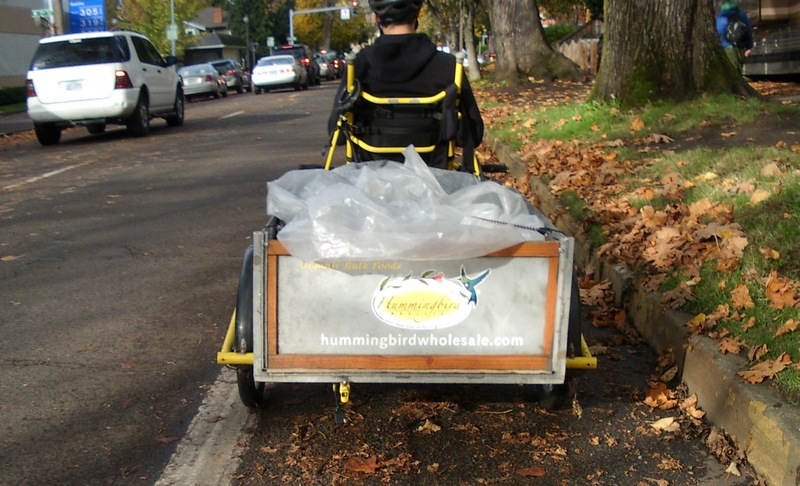 Oh yeah, the Hummingbird Wholesale delivery … “van.” Somewhere I have a better shot of it. Maybe a “cargo” post is in order some day. I am not sure why you find this so mysterious, unless you are just being cute and it is too early for my irony detector. If the bike lane is clear and safe, use it. If not, take the lane. 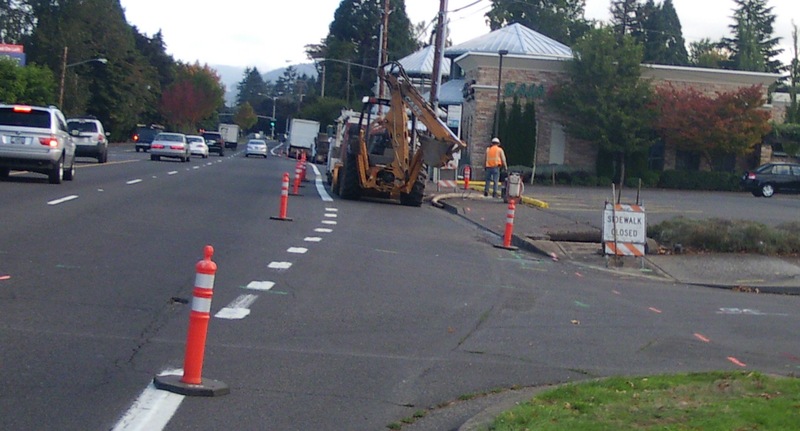 As an example that some might find borderline, take the stretch of Willamette between 13th and 18th. If you ride in the bike lane there, you are asking to be doored. 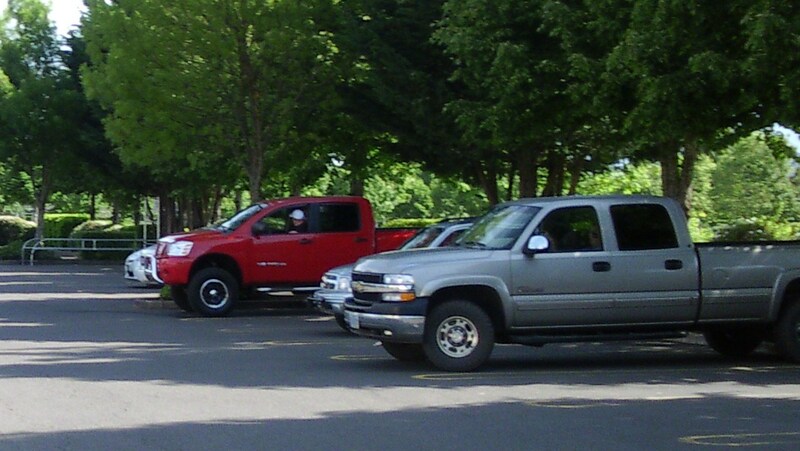 There are cars parallel parked most of the way, and even if you ride on the extreme outsside edge of the bike lane, you stand a chance of getting doored. Not so much that I find it mysterious — mysterious is the people lining up outside Costco before it opens. I was just taking a look at that particular law. And I have been thinking about these laws differently since I chatted with the traffic cop about Broadway-and-Hilyard. Not that I completely like what he said — or that I agree with all of it. It’s just that he seemed to have a much stricter view of the exceptions in these laws than I do. Which is a good thing to be aware of, I think. Although, I do wonder if he’s going to be that way in a conversation that he knows is for publication, while maybe being a little more judicious when he’s out on the street actually deciding whether he should cite somebody. Sure, you should act like you are operating a vehicle. But to me, the bike lane law puts some restrictions on that. I don’t particularly think this law is necessary. And I think following the letter of this law is not always the best course of action. But, yeah, I don’t think any of this is a huge problem. 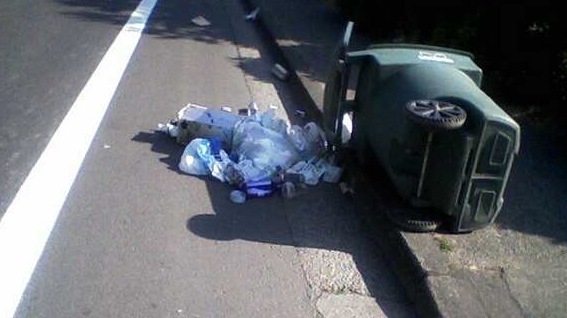 But there sure is a lot of stuff in the bike lane.